Are Bodybuilding Exercises Right For You? Bodybuilding exercises are made popular by fitness magazines – especially the “muscle mags” – because they feature guys (and some girls) who are bodybuilders that compete in competitions. Some people who are eager to look like the models in the magazines do these exercises and routines at the gym. Much of these routines are made up of moves that isolate muscles….like calves, biceps, forearms, quads, abs, etc. Not that anything’s wrong with that…That’s completely fine and dandy if you like doing 20 minutes of 3 different kinds of calf exercises, and spending over an hour in the gym 5 or 6 days a week. Don’t laugh – some people do! In fact, some people view the gym as their social gathering space – and I think that’s also completely fine if that’s what they want to do. Hey, it’s a lot better than vegging out in front of the TV or hanging out at a bar! Decide the real reason why you joined the gym. Did you decide to join the gym just to lose weight, or did you join the gym because you thought you were bored and maybe you could make some new friends? … not that anything’s wrong with that - it is a great place to meet folks with similar interests and goals. There are many types of bodybuilding and routines and I certainly don’t pretend to be an expert on them. If you want to learn more about the bodybuilding life style, there are many resources but I think among the best and most comprehensive is Bodybuilding.com. Of course, losing fat naturally happens with a good weight lifting and eating plan. It’s sad that some people become obsessed with bodybuilding exercises, and they take it to unhealthy extremes…taking hundreds of dollars of supplements every month whose labels promise faster gains, more energy, bigger muscles, etc….and some of these supplements work but who really knows what the long term effects will be to their bodies? Bodybuilding is not the right path for everybody and it takes up a lot of time. But that’s ok for many people who consider it a hobby! 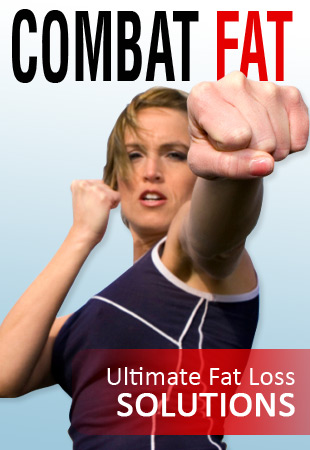 If YOUR goal is to tone up and lose fat in the LEAST amount of time…that’s what this site is all about. Here, we focus on multi-joint exercises, high energy cardio, and fast paced circuits.